12:16 AM low 3.1 ft.
5:19 AM high 4.8 ft.
12:42 PM low 0.2 ft.
8:17 PM high 4.6 ft.
How to reach: To reach the tidal bench marks proceed to the Castro Street/Pt. Richmond exit from I-580, turn left onto Castro St and continue to Chevron Way (just before the I-580 underpass), turn right onto Chevron Way and proceed through the main gate to the first stop sign (access must be arranged in advance by calling the Wharf Master at (510) 242-4388), then turn left onto Schofield St. and continue 1.0 km (0.6 mi) to paved Chevron Long Wharf causeway. The bench marks are along the road on causeway of the main fuel pier. 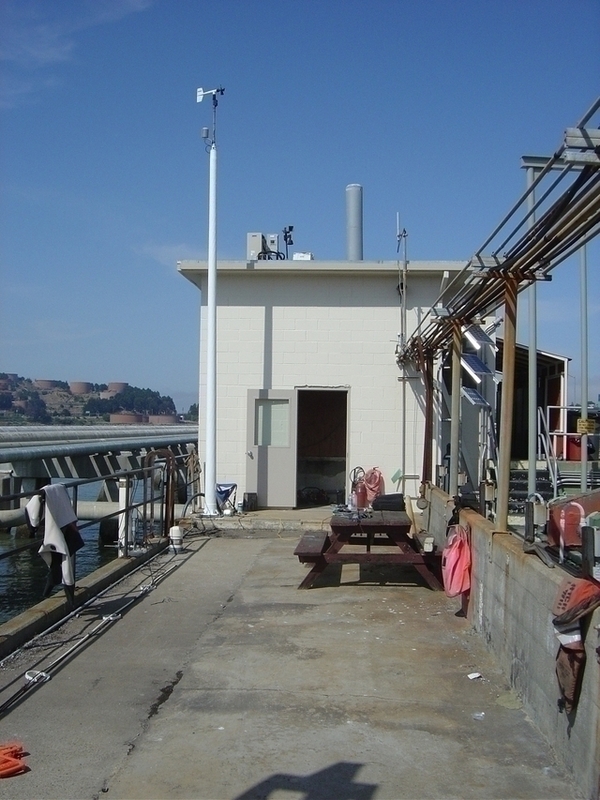 The tide gage is located in room south of the lab.